We understand that every individual is different and so is his / her requirement from an IELTS coaching programme. Incorporating this into our research we have formulated different types of batches to allow you the flexibility to choose what is just right for yourself. We provide A perfect combination of well-researched study material and the interactive method of teaching re-energizes the learner within every student. 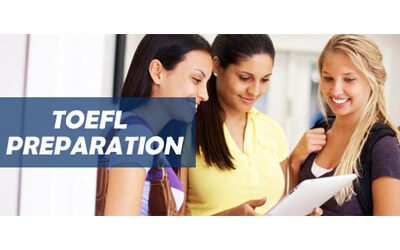 Our IELTS classroom training sessions are coupled with the free doubt clearing sessions to provide a more comprehensive guidance programme to aspiring participants. One-on-One sessions are also included in the training programme, helping students to get individual attention from the faculty. The study centre is strategically located with easy access & good connectivity. • The course follows an interactive learning pattern which begins with an orientation lesson. It is followed by lessons to improve your listening, reading, writing and speaking skills. The rigorous training session is followed by a final preparation session, where you are provided with the necessary tips and strategies for taking the exam. • The classes are provided using interesting and interactive ways to learn complex things. This type of learning helps in understanding and remembering things in a better and faster way. • The practical session includes practice tests for all the four test sections- listening, reading, writing and speaking. The practice session is so effective that after going through it you come out with confidence. 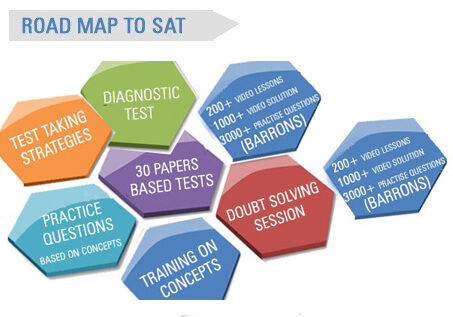 • The practice tests are provided in a simulated test condition, which gives the feel of giving the real test. This prepares you in a better way to face the exam. • The institute has a proven track record and uses methods and techniques which are created and tested by a team of experts. • The study materials are constantly updated and are in terms with the latest test trends. 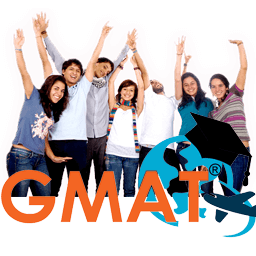 • The training provided by the institute is so good that each candidate faces the test with confidence and is confident of getting a good score. • The students are introduced to every pattern of questions that is asked in the different test sections, this leaves no surprises for the students of RISE Global Academy. • The students are introduced to every pattern of questions that is asked in the different test sections, this leaves no surprises for the students of RISE Global. • The services of the institute come with a 100% satisfaction. Joining this course will surely help in providing you with a better band/score, needed for building up your bright future. • Counsellors at RISE will assess your present proficiency and will recommend suitable course & duration. RISE training centres are open all seven days of the week and offer both weekend and weekdays classes at a time convenient to you. • Diagnostic test is administered to identify training needs & improvement areas. • Participants are taken through a complete familiarization with the format and the time restrictions. • Careful selection of Reading, Writing and Listening Assignments is made to start systematic tests preparation. Regular Speaking Practice is conducted. • Solving Strategies & Scoring parameters of each question type are explained in detail. • Appropriate grammar & vocabulary notes are given to improve proficiency. • Well calibrated increase in the level of difficulty of the assignments is carried out to raise the level of participants to the desired level of proficiency. • Full length mock tests are given to simulate real exam conditions and check test preparedness. • An easy access to the study material & trainers is maintained throughout the training. Writing Skills: Overall planning and writing essays that explain and support opinions on issues. Presentation, time-keeping and word count strategies are practiced. Expert tips to make sure you complete your tasks in time and write your best. Trainees are taken through variety of model essays & tips to develop writing ability demonstrating command over the range of vocabulary & other lexical resources; coherence and relevance. IELTS, PTE, TOEFL & SAT are typical competitive tests attempted by millions of test takers, but to ensure that your test preparation is top-notch so that you get the best results, it is important that you take care of these fundamentals. • Get professional help: Do not take your test lightly, however good you may think you are in English, you may not be aware of exact skills being tested, may lack speed and even stamina to score to your potential. • The language skills on test are invariably far more complex than you exercise on a day to day level. • Give yourself sufficient time to prepare: Do not rush into the test. A minimum of 3-4 weeks and ideally 7-8 weeks is what is required to familiarize to and build adequate competence in all aspects of test scoring ability. • Training Regimen: Discuss a training schedule with your trainer where classroom training is complemented with sufficient practice in or outside the class. 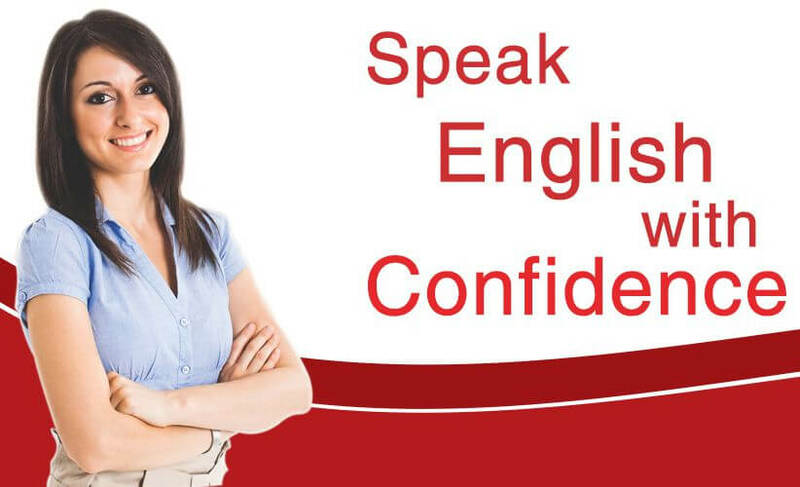 • Increase your exposure to good English: Your trainer will guide you to maximize your exposure to high quality audios, podcasts, reading material through the study material and open resources. • No substitute to practice: Take a minimum of 4-5 mock tests and get yourself evaluated by your trainer to check your proficiency. • Work more on Improvement areas: Quickly figure out your training needs and improvement areas with the help of your trainer and practise more there to eliminate the rough edges. • Confidence plays a vital role: You need to be in top form with full confidence to get that extra band or score which may be crucial for your chances with successful immigration or university admission. 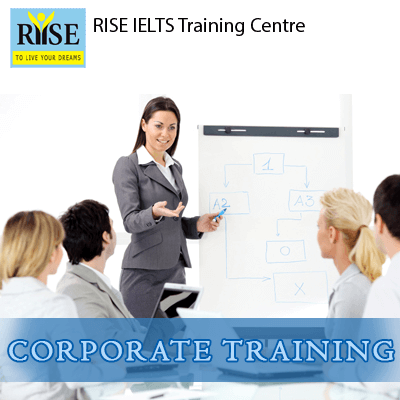 Rise Global is a premier training centre for preparation of IELTS, PTE, TOEFL & SAT. 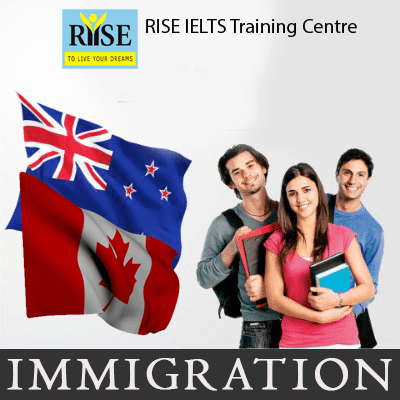 RISE Global also helps you with Immigration & Studies Abroad counselling for Canada, Australia, New-Zealand, UK & US.